The largest and most popular provider of safety, food handling, and first aid classes in the Toronto metropolitan area is Toronto First Aid. Learn to recognize and manage emergencies that include hypoglycemia, allergic reactions, infant choking, broken bones, concussions, hypothermia, embedded objects, fractures, seizures, poisonings and many more. The most popular basic training program is standard first aid which comes standard with CPR level “C” (CPR for victims of all ages) and automated external defibrillator training. Other popular courses include babysitting training, emergency first aid, childcare first aid, stand-alone CPR and AED, on-line WHMIS and food handling courses. For a complete list of low priced and high quality courses available with Toronto First Aid and to find the next course use the contact information provided below. Customer representatives are friendly and courteous. They are available to take your call from 7 am to 6 pm everyday. On-line registration is available any-time on the Toronto First Aid website. What Will I Learn in a First Aid Class? Learn about these topics and more by enrolling in a first aid course today. Why Choose Toronto First Aid? Register for a course today and see what Toronto First Aid has to offer. Enrolment is hassle-free with this provider. Signing up can be done using the application form or through e-mail through the internet. Telephone calls and walk-ins are also encouraged by the Toronto First Aid staff, as long as business is done during business hours. All the fees are settled during enrolment (or before training begins, if enrolment was done online) as well. The total fees include tuition, taxes, certificates, manuals, and registration fees (with the workplace approved). If a student drops out, a full refund is given to him or her, as long as the provider was notified at least 3-days before dropping out. 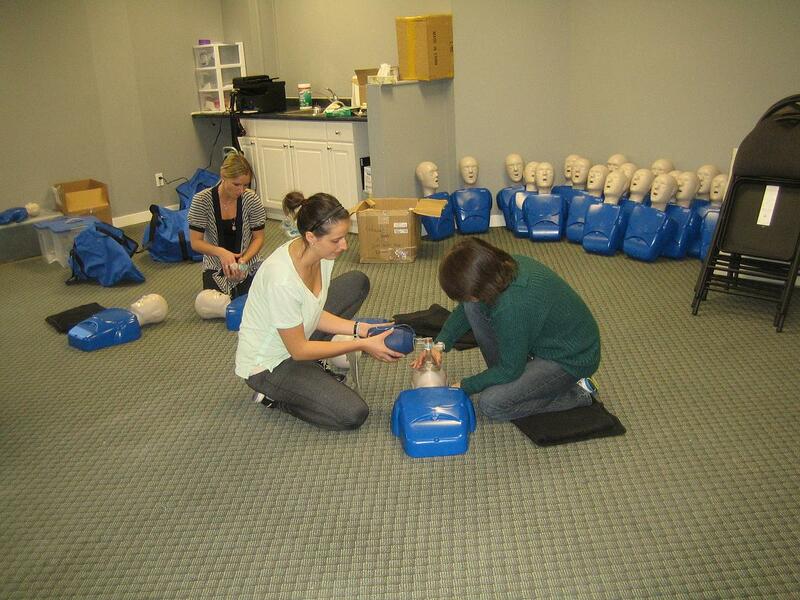 Take a peek into a training lesson with Toronto First Aid below.